Elon Musk's Boring Company Releases Concept Art of "Electric Sleds"
Elon Musk recently revealed that his Boring Company would not just be digging tunnels, but would also be putting passengers inside “electric sleds” to transport them through said tunnels. 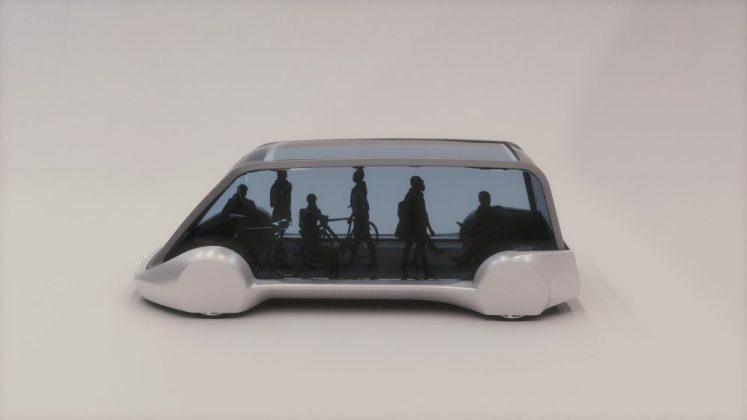 The company has recently released some new images of a concept for the electric sled, via a video detailing Musk’s concept for underground urban areas. The video displayed two different kinds of electric sleds, one which was essentially a platform for cars to park on before being connected to the electric rail system which would propel the vehicle through the tunnel. The other kind of vehicle has an enclosure for passengers, and unlike the previous vehicle, it also has wheels, meaning it could potentially drive on streets as well. Apparently, the electric vehicles are not only a possible use for the tunnels dug by Boring Company, but they actually play a keystone role in making the tunnels possible. Boring Company wants to reduce the overall cost of the tunnels, and part of their plan is to simply reduce the overall diameter of the tunnels. Thus, vehicles could be stabilized on the electric sleds, locked to a pre-defined track which would eliminate the need for creating multiple lanes. The reduction in diameter made possible by the electric vehicles and rails would cut tunneling costs by 3-4 times. The automated sleds could allow passengers to bypass street traffic, and achieve a greater speed, possibly up to 125 mph on the electrical rail system. Thus, the electrical sleds with wheels are similar to Musk’s idea for Hyperloop One to utilize pods which can both use the Hyperloop tubes and drive on the streets.